MOSCOW, November 24. /TASS/. 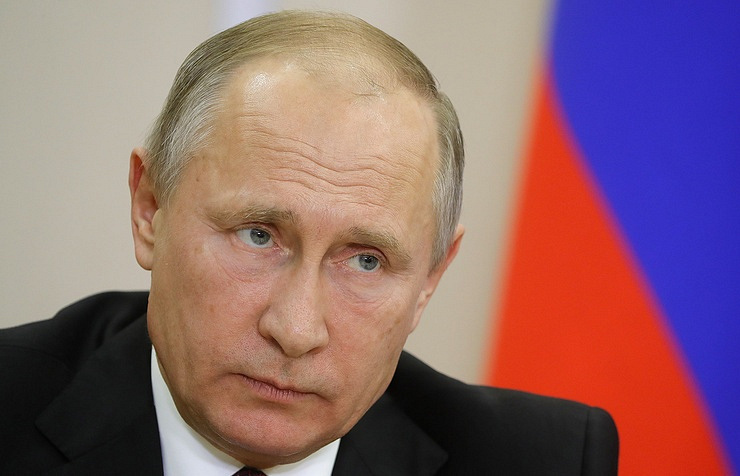 Russian President Vladimir Putin has sent a telegram of condolences to his Egyptian counterpart, Abdel Fattah el-Sisi, on the tragic effects of Friday's terrorist attack in the north of the Sinai Peninsula. "The killing of civilians during the mosque prayer strikes one with its cruelty and cynicism. We can see once again that the human morality concept is totally alien to terrorists," he noted. Putin confirmed that Russia is prepared to step up cooperation with Egypt in the fight against international terrorism forces, the Kremlin press service reported. The Russian leader conveyed the words of sympathy of relatives and friends of those killed in the attack and wished a speedy recovery to those wounded. 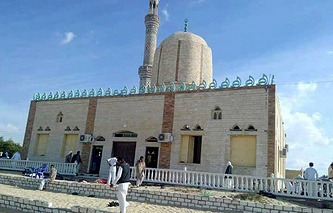 Militants in four off-road vehicles attacked the mosque during the Friday prayer in the Al Rawdah inhabited community 30 kilometers west of the city of Arish, the capital of North Sinai Governorate. The terrorists set off an explosive device and then opened fire on the worshippers. News reports said they also fired on the ambulances, which were evacuating the wounded from the scene. The attack has left 235 people dead, while 109 others were wounded, the Al Arabiya television channel reported citing the Egyptian Attorney General.